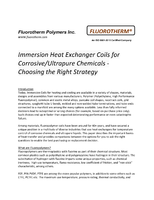 Available in three models, PowerFlex 755TL, 755TR, 755TM, drive systems offer harmonic mitigation, regeneration and modularity. Compliant to IEEE 519 specification, 755TL drive is available from 250 to 1800 Hp. With regeneration and coordination of multiple motors in common bus configurations, 755TM drive enables power range from 250 to 3000 Hp. Offering regenerative and harmonic mitigation solutions, 755TR drive delivers power from 250 to 3000 Hp. 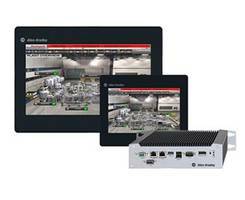 Rockwell Automation drive solutions offer harmonic mitigation, regeneration and modularity Rockwell Automation has introduced a suite of drive solutions that will help users reduce energy costs and increase machine uptime for assets running in high-demand applications. 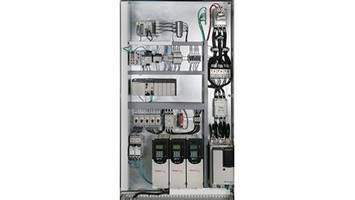 The Allen-Bradley PowerFlex 755T drives provide harmonic mitigation, regeneration and common bus system configurations. The latest PowerFlex drive offering marks the introduction of TotalFORCE technology from Rockwell Automation. This new drive technology delivers superior motor control through precise, adaptive control of velocity, torque and position for electric motors. TotalFORCE technology incorporates several patented features that are designed to help optimize a user’s system and maintain productivity. 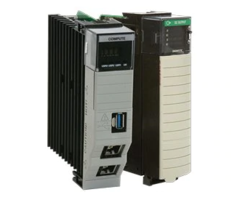 The expanded Allen-Bradley drive portfolio now includes the PowerFlex 755TL low-harmonic drive, PowerFlex 755TR regenerative drive, and PowerFlex 755TM common DC bus drive system, all compliant to the IEEE 519 specification. These new drives offer the additional advantages of a world-class footprint, comprehensive diagnostic and maintenance features, and simplified startup and installation. PowerFlex 755TL drive: The PowerFlex 755TL drive uses active, front-end technology and an internal harmonic filter to reduce harmonic distortion. The drive is available from 250 to 1,800 Hp (160 to 1250 kW). 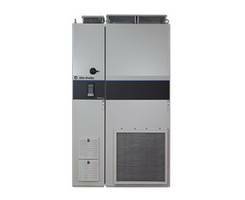 PowerFlex 755TR drive: Delivering power from 250 to 3,000 Hp (130 to 2,300 kW), the PowerFlex 755TR drive includes both regenerative and harmonic mitigation solutions. The drive helps reduce energy consumption and costs by delivering energy back to the incoming supply, resulting in a more energy-efficient solution. PowerFlex 755TM drive system: This allows users to build the system that best fits their needs for regeneration and coordination of multiple motors in common bus configurations. 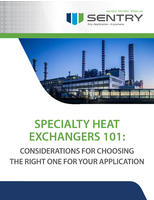 To optimize their system requirements and meet power-consumption needs, users can select from a series of predesigned modules with a power range from 250 to 3,000 Hp (130 to 2,300 kW). The three drive solutions have advanced, predictive diagnostics to estimate and provide notification of the remaining life span of drive components, such as fans, relay contacts, power semiconductors and capacitors. Users can actively monitor parameters, such as temperature and runtime, of the drive and motor to allow for preventive action if necessary. Key to simplified installation and maintenance is a design that allows complete removal of a module from the cabinet. This creates ample space for wire installation and allows the power wiring to stay connected while the module is rolled out. Installation and maintenance is further simplified with an accessory cart that allows one person to easily insert or remove a module without the need for a ramp or hoist. 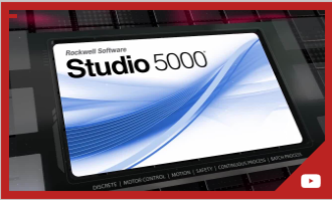 The drives can be fully configured in the Rockwell Software Studio 5000 design environment as part of the Premier Integration experience when working with Logix controllers. 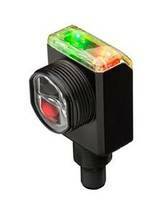 This helps to reduce programming time, simplify startup and streamline diagnostics.